John Schneider is the Grammy® award winning guitarist, composer, author and broadcaster whose weekly television and radio programs have brought the sound of the guitar into millions of homes. He holds a Ph.D. in Physics & Music from the University of Wales, music degrees from the University of California and the Royal College of Music (London), and is past President of the Guitar Foundation of America. A specialist in contemporary music, Schneider’s The Contemporary Guitar(University of California Press) has become the standard text in the field. For the past three decades, the artist has performed almost exclusively on the Well-Tempered Guitar, which uses different patterns of fretting according to the key or tuning system required. Recitals include Renaissance and Baroque repertoire in their original temperaments, as well as contemporary music in alternative tunings by such composers as Lou Harrison, Ben Johnston & others. Since 1991, Schneider’s concerts also include vocal works of the maverick American composer Harry Partch (1901–1974), which he sings while accompanying himself on replicas of Partch’s Adapted Guitars [steel stringed instruments refretted in just intonation] & the Adapted Viola. The 1990’s also saw the creation of his chamber group Just Strings, which is devoted to the performance of music in alternative tunings. In 1995, they were invited by the Japanese Embassy to present a series of lectures and concerts throughout Japan under the auspices of the prestigious Interlink Festival, which annually selects one American ensemble to represent new trends in American Music. Since 2000, Schneider has recreated most of Partch’s unique instruments to perform the composer’s singular chamber music, creating the group Partch in 2001 to celebrate the composer’s Centennial with a 12-hour festival at UCLA. In 2002, he commissioned the first Just National Steel Guitar, and now regularly performs & records the works by Lou Harrison, Terry Riley & others written for the instrument. Schneider has performed in Europe, Japan, Vietnam & throughout North America. He has been a frequent guest on PRI’s “New Sounds”(WNYC), featured by New Music America, New York’s American Festival of Microtonal Music, Denver’s Microstock, California’s Mozart Festival, the DaCamera Society, Southwest Chamber Music, New American Music Festival, the Los Angeles Philharmonic, San Francisco Symphony, and The Outsider, BBC’s documentary film on Harry Partch. In the past decade, international performances have included Holland’s 6-city HARRY PARTCH:Truth About Tune Tour, and solo concerts in London, Stuttgart, Stockholm, Berlin and Amsterdam. In 2004, John Schneider performed at the Norton Simon Museum, the Getty Center, and made his Disney Hall REDCAT debut premiering Harry Partch’s complete Bitter Music, and has returned every year since. His voice has been heard on stages from Tokyo’s Casals Hall and the Hanoi Opera House to London’s Britten Theatre, San Francisco Symphony’s Davies Hall, The Getty Center, LACMA’s Bing Theatre, and the Walt Disney Concert Hall. The San Francisco Chronicle described his recent performance at the American Mavericks Festival as, “Funny, moving, inventive and insanely theatrical…an unforgettable performance,” while he “captured the essence” (LA Times) of Robert E. Lee in the Glass/Wilson CIVIL warS at the L.A. Philharmonic’s 2014 Minimalist Jukebox Festival. In 2013, Schneider released four titles on his newly founded MicroFest Records label, while Bitter Music(Bridge Records) was nominated for a Grammy® as “Best Classical Compendium.” In 2014, the 56th Grammy® Awards nominated his MicroFest Records production of Cage’s The 10,000 Things for Best Chamber Music Performance. The 57th Grammy® Awards nominated Partch’s Plectra & Percussion Dances for Best Chamber Music Performance, and gave top honors for Best Classical Compendium. 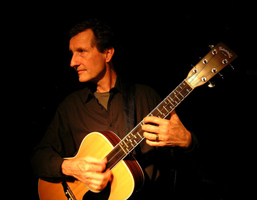 John Schneider is music Professor at Pierce College in Los Angeles, guitarist for Grammy® Winning Southwest Chamber Music, music director for Just Strings, Partch, and is the founding artistic director of MicroFest [the annual festival of microtonal music www.MicroFest.org], and founder of MicroFest Records. His radio show Global Village can be heard weekly on Pacifica Radio’s KPFK at 90.7-fm in Los Angeles & worldwide at www.kpfk.org.